Your iPad--what a slacker, right? I mean, it can't even make phone calls! Well, okay, apps like Google Voice and Skype can give you a phone-like experience, but they're not exactly business-friendly. Enter Toktumi's Line2 HD, which turns your iPad into a call-management hub, complete with a unique phone number and a wealth of business-savvy features. At its core, Line2 lives up to its name by endowing your iPad (or iPhone or Android device) with its own phone number. This can be an existing number transferred to the service or a new local or even toll-free number. Your Line2 subscription affords unlimited local and long-distance calling. Texting, too. 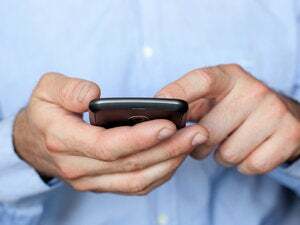 The service leverages Wi-Fi or 3G, depending on which is available, and if there's no connection available at all, Line2 will automatically forward calls to up to six other phones. Speaking of other phones, the app employs a visual voicemail system akin to the iPhone's. You can also receive voicemail messages via e-mail, great for those times when your iPad isn't close at hand. When it is, you'll have access to features like call waiting, call hold, and call transfer. The app supports conference calling for up to 20 people, another nice perk for medium-to-small businesses. Line2 has a do-not-disturb option for routing incoming calls directly to voice mail, ideal for when you're stepping into a meeting. I especially appreciated the detailed history Line2 provides for calls, voice mail, and messages--the kind of information business people tend to prize. I made a few test calls with the app, and it sounded great every time--at least on par with traditional calls made from my iPhone. You can plug in a headset, use the iPad's speaker, or link the iPad to something like a Bluetooth speaker dock, one that includes a microphone for hands-free calling. Line2 Standard costs $9.95 per month or $99.95 annually. Line2 Professional, which adds features like a toll-free number and virtual receptionist, runs $14.95 per month or $149.95 annually. 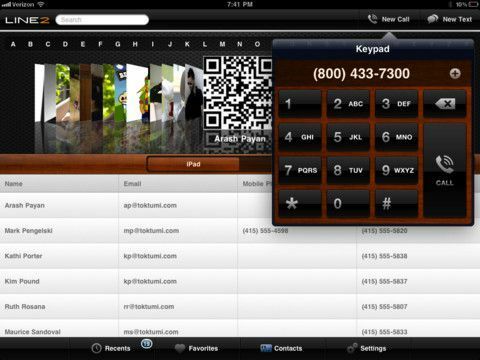 Are there cheaper ways to make calls with your iPad? Definitely. But I think Line2 is a solid option for businesses that want to appear--and sound--professional. And its rates are certainly lower than traditional landline solutions.